This is an addition to the widely expanding series Church Micro 8691 – Corpus Christi – Tonbridge. To find the cache you will need to do some research online as well as out in the field. 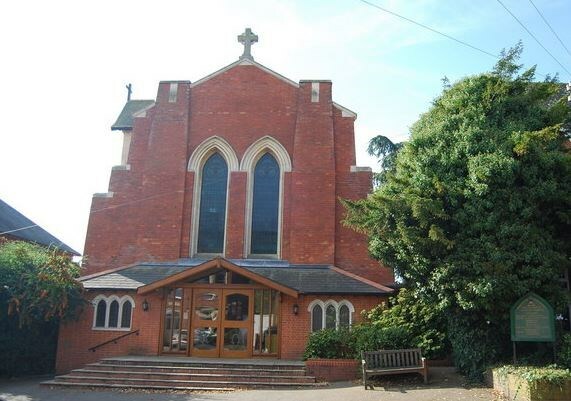 Little is known about the early Catholics in Tonbridge, except that the Parish was founded in 1894 from St. Augustine's Church in Tunbridge Wells. On Wednesday 15th August 1894, the Feast of Assumption, a temporary Roman Catholic chapel was opened in the town. This was a corrugated iron structure at the west side of Waterloo Road. Prior to this, the Catholic people of Tonbridge had to travel to Tunbridge Wells to attend Mass. Now the priest came from Tunbridge Wells to say Mass in their new temporary church in Tonbridge. On the opening day at 11.00am, Low Mass was celebrated by Father Hayes of St. George's Cathedral, Southwark and the children of St. Augustine's School, Tunbridge Wells sang the children's Mass. lifetime. In 1904, the church and presbytery were built on the present site in Lyons Crescent. The old building was demolished. The first priest to take charge of the new church was Father Walsh. He served the parish faithfully, working very hard and earning the respect of the people of the town, regardless of their denomination. However, in 1923, his health broke down and he had to rest. On 4th May 1923, the Tonbridge Free Press reported that Father Walsh was back in Tonbridge and was looking better, but he was still weak and was going to live in Eastbourne. He later retired to Ireland, where he died in 1929. During Fr. Walsh's absence through illness, Father Moor looked after the parish until a new parish priest was appointed. At first, the parish must have been very small in numbers and very poor, because it appears that the debt and interest on the new church could not be paid for the first year or so. However, by 1906, finances were healthier, allowing the Lady Chapel to be added to the main church. Corpus Christi Church has many stained glass windows by the School of William Morris. It also has a fine example of a 'wagon roof' and has galleries on two sides. As of 1st September 2017 I was no longer PC 8691 - a constable of Kent Police. Having served since 1990 I retired from the force and moved away from the Tonbridge area. I served in Tonbridge for 18 of those years and this church was on my patch when I had the role of local beat officer which I held for 10 years. I have many fond memories of policing in the area as well as living here. 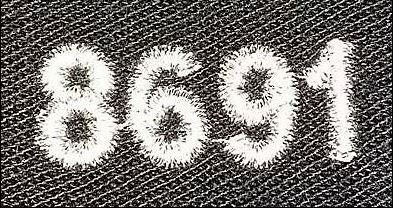 I find it amusing now however that if you google 'Tonbridge - Corpus Christi' and click on images - the background image of this cache (a picture of my force number patch) comes up on the first page - try it.